ASSITEJ SA was invited to be part of the 5th DStv Delicious International Food and Music Festival 2017. The festival was held at the Kyalami Grand Prix Circuit from 7th to 8th October. 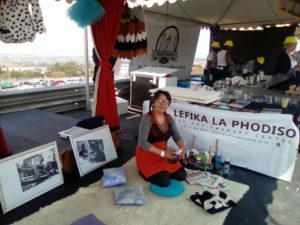 The activation was made possible with sponsorship by Rand Merchant Bank and collaboration with other Creative Arts projects: Play Africa and Lefika la Phodiso. The ASSITEJ Joburg team created and coordinated a successful activation that gave ASSITEJ-SA the platform to showcase, network and market their brand to a wider audience. 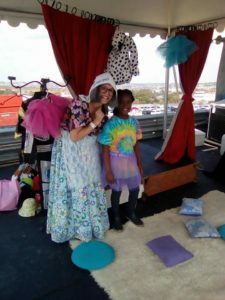 The activation site was transformed into an interactive multi-disciplinary space where young audiences and families networked with theatre stakeholders, experienced pop-up theatre, participated in the food & art workshops (Lefika la Phodiso)on the fantasy play stage (Play Africa) and interactive theatre with Granny Incredible (Avril Cummins). 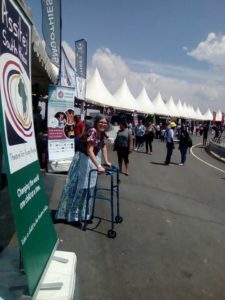 The biggest success of the activation is that theatre was made accessible to young audiences and families at a biggest International music and food festival in the year.